Mountain View, California – The Silicon Valley Space Center will develop four scientific payloads to fly on the XCOR Lynx spacecraft, which is currently under construction in Mojave, California. The payloads will fly on missions sponsored by the United States Rocket Academy’s Citizens in Space program. The payloads are part of a cooperative agreement between the Silicon Valley Space Center and Citizens in Space, which was announced today. (Space Center Houston) – Citizens in Space, a project of the United States Rocket Academy, announced two astronaut candidates at the Space Exploration Educators Conference, which took place here today. Citizen-astronaut candidate Maureen Adams, who has been in training for three years, announced the new additions. Michael Johnson is a founding member and executive director of the North American Aerotech Academy, a non-profit organization that provides aviation-based STEM education to schools in the Dallas-Fort Worth area including four-year aviation academies at Irving High School and DeSoto High School. Johnson is a single- and multi-engine commercial pilot, instrument ground instructor, and type-rated captain on the Cessna Citation jet aircraft. Johnson also provides STEM-based afterschool programs and summer camps, most recently teaching the Hot Roc STEM camp at Cedar Valley College in Lancaster, Texas that included a on-site mission-control room and the construction and launch of over 300 rockets. He is currently pursuing an Executive MBA degree at the University of Texas at Dallas and serves in the Texas Wing of the Civil Air Patrol as a Aerospace Officer with the rank of 2nd Lieutenant. Edward Wright is the chairman of the United States Rocket Academy and project manager for Citizens in Space. He brings almost 30 years of experience in the computer, aviation, and space industries. In the past, he developed the first Space Enterprise Symposium and founded X-Rocket, LLC. “This is an important step in the development of our program,” said Lt. Col. Steve Heck (USAF-ret. ), training director for Citizens in Space and another citizen-astronaut candidate. 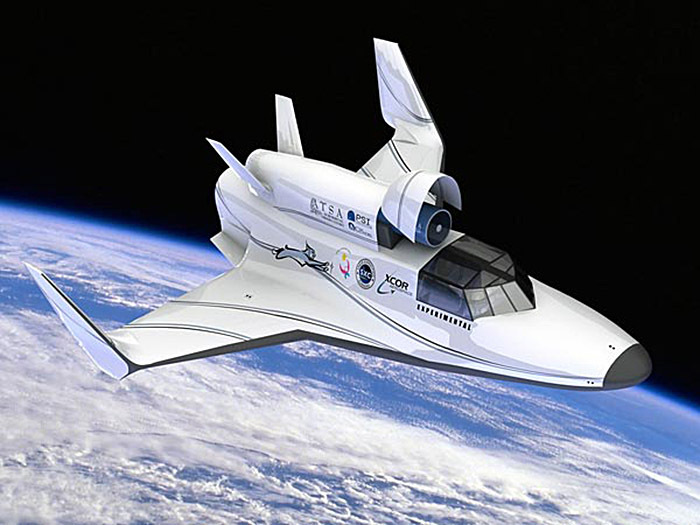 “Citizens in Space has purchased 10 flights on the XCOR Lynx spaceplane, which is expected to enter operational service in 2014. We will be flying over 100 citizen-science experiments and training 10 citizen astronauts to fly as payload operators. “The individuals named today provide the right mix of skills to help us develop our training program, which will ensure that our current and future astronauts are able to fly safely and perform effectively as payload operators. 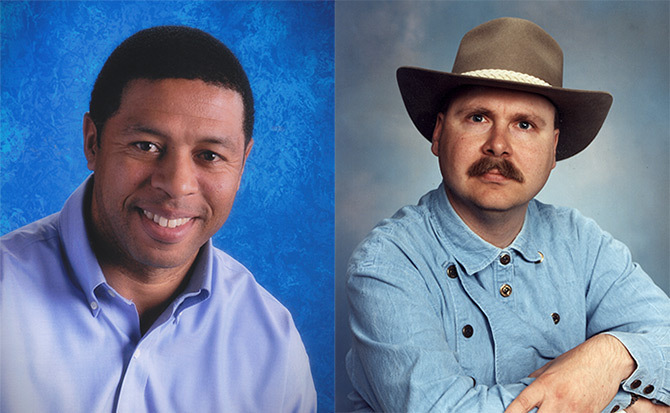 Adams, Heck, Johnson, and Wright are pathfinders for a larger training program. The “first four” will participate in training activities at several locations this summer. Training will expand next year as Citizens in Space seeks to fill out all ten astronaut slots. Space is not just the final frontier. It’s the citizen-science frontier. Thanks to rapid advances in technology, it’s now possible for citizen scientists to build high-quality space-science hardware with off-the-shelf components. Interest in citizen science and participatory exploration has exploded in recent years. New technologies are making it easier for private citizens to become involved in the scientific process. More and more, the professional scientific community is recognizing the importance of contributions made by dedicated amateurs. Citizen scientists are discovering exoplanets and dinosaurs, monitoring climate and endangered species, and helping to map the human genome. The development of low-cost reusable suborbital spacecraft will be the next great enabler, allowing citizens to participate in space exploration and space science. Citizens in Space, a project of the United States Rocket Academy, is riding this new wave of citizen science citizen space exploration. For the first phase of our project, we have acquired an initial contract for 10 suborbital spaceflights with one of the new space transportation companies — XCOR Aerospace. This represents, to the best of our knowledge, the largest single bulk purchase of suborbital flights to date. We will be making payload space on these flights available to citizen scientists and to professional researchers who play by our open-source rules. We expect to fly up to 100 small experiments in our initial flight campaign. For information on submitting payloads, see our Call for Experiments. Citizens in Space will also select and train 10 citizen astronauts to fly as payload operators. We have three astronaut candidates already in training. We’ll be recruiting seven more over the next 12 to 24 months. (Dayton, OH) – Lieutenant Colonel Steve Heck (USAF-ret.) is being honored by the State of Ohio for his work with Citizens in Space, a non-profit project that promotes citizen science and citizen space exploration. Lt. Col. Heck is one of 15 veterans who will be inducted into the Ohio Veterans Hall of Fame today by Governor John Kasich in a ceremony at the National Museum of the US Air Force here in Dayton. As an Air Force officer, Steve Heck flew the B-52 Stratofortress and KC-10 Extender, setting two world records in the KC-10 aircraft. After retirement, he became an elementary-, middle-, and high-school science teacher in Milford, Ohio. In 2009, Steve Heck was selected as an astronaut candidate for Teachers in Space, a project of the United States Rocket Academy. In 2011, the program was expanded to include a broad range of citizen scientists and renamed Citizens in Space. 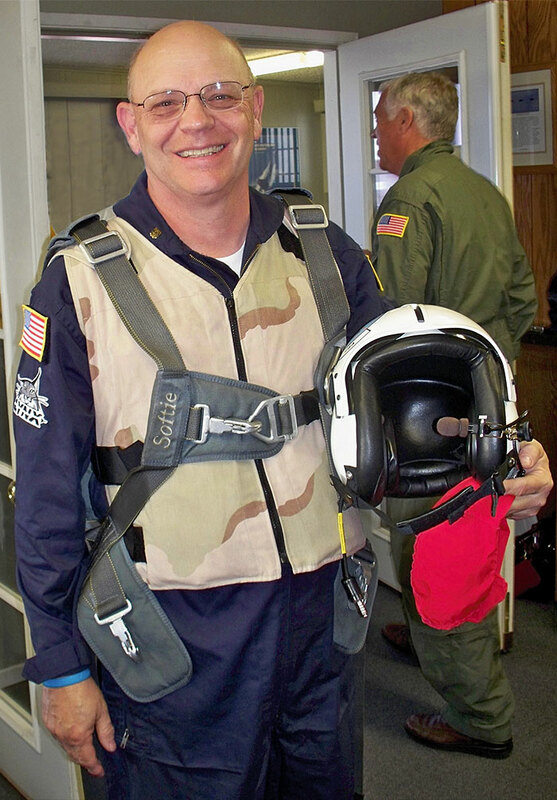 Steve Heck is one of three astronaut candidates selected by the United States Rocket Academy to fly on the Lynx, a suborbital rocketship being built by XCOR Aerospace in Mojave, California. The United States Rocket Academy has acquired an initial contract for 10 flights on the Lynx and plans to acquire additional flights on the Lynx and other vehicles in the future. Heck has served the program as an instructor as well as an astronaut candidate, helping to develop a suborbital astronaut training curriculum for Citizens in Space, which will select seven additional astronaut candidates in the next 12-18 months. “I’m pleased to be using my Air Force experience to help shape this program, which is paving the way for the next generation of American astronauts,” Heck said. “In the next decade, thousands of Americans will fly in space on vehicles like the Lynx, through programs like Citizens in Space. I am proud to help form the training that will ensure citizen astronauts are able to fly safely and accomplish their missions effectively. “The astronauts selected for Citizens in Space will be busy during their flights, operating and supervising up to a dozen experiments. Preflight training is therefore crucial,” Heck said. (Houston, TX) – Colonel Rick Searfoss (USAF-ret.) will address teachers at the Space Exploration Educators Conference, which takes place at Space Center Houston on February 7-9, 2013. Colonel Searfoss will speak during a session on “Citizen Science and Citizen Space Exploration” presented by Citizens in Space. As a NASA Shuttle pilot and commander, Colonel Searfoss flew into space three times. 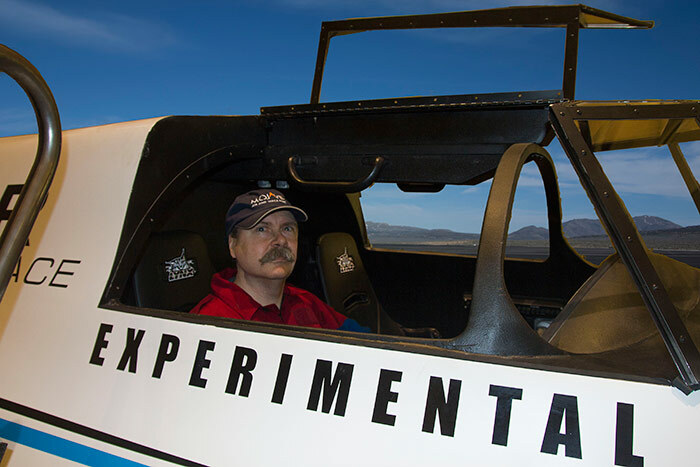 As chief test pilot for the Lynx reusable spacecraft, now under construction by XCOR Aerospace, he expects to fly into space much more often. Citizens in Space, a project of the United States Rocket Academy, has acquired a contract for 10 flights on the Lynx spacecraft, which will be made available to the education and citizen-science communities. Citizens in Space will select 100 citizen-science experiments and 10 citizen astronauts to fly as payload operators. In addition to teleconferencing with Colonel Searfoss, teachers will have the opportunity to meet the first three citizen-astronaut candidates selected by Citizens in Space. Teachers will learn how they can incorporate citizen science into the classroom, develop experiments to fly on Lynx, and apply for the citizen astronaut program. Registration for the Space Exploration Educators Conference is open now. On-line registration and conference information is available at www.spacecenter.org/teachersseec.html. 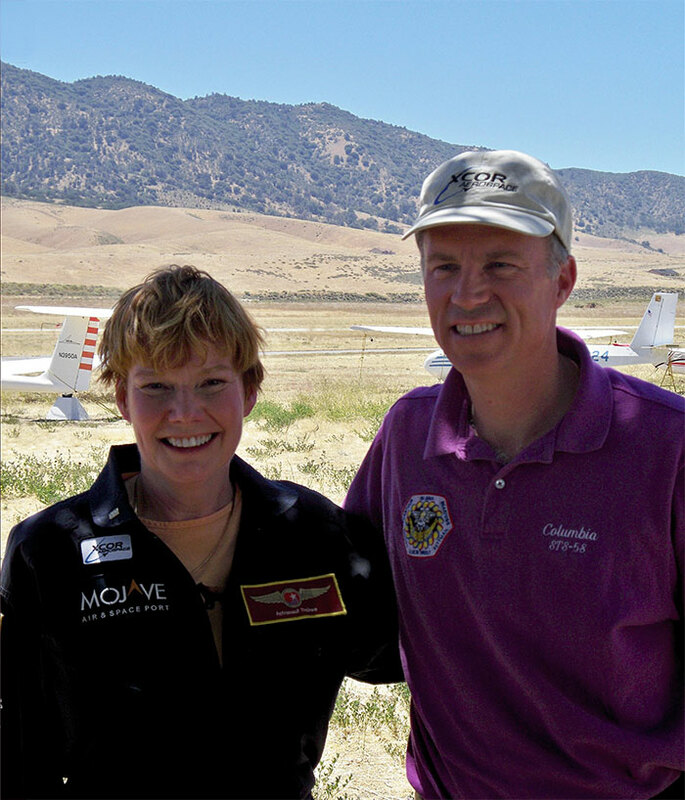 Col. Rick Searfoss and citizen astronaut candidate Maureen Adams. Citizens in Space, a project of the United States Rocket Academy, has been invited to present at the Fall Meeting of the American Geophysical Union, to be held at the Moscone Center in San Francisco on December 3-7. “We are pleased for the opportunity to discuss potential collaboration between professional and citizen scientists before such a distinguished audience,” said United States Rocket Academy president Edward Wright. This, Sir, Is a Spacecraft! Astronauts have lived and trained in Texas for 50 years, but no astronaut has ever flown into space from Texas. That will change in the next few years when XCOR Aerospace begins flights from a new spaceport in Midland, Texas. Maureen Adams, a teacher and principal at West Ward Elementary School in Killeen, hopes to be among the first Lone Star astronauts. Adams is an astronaut candidate who is part of Citizens in Space, a project of the United States Rocket Academy which has purchased 10 flights on the Lynx suborbital spacecraft (currently being developed in Mojave, California by XCOR Aerospace). Citizens in Space has already chosen its first four astronaut candidates, three of whom are from Texas: Maureen Adams and two others to be named later this year. XCOR expects Lynx test flights to begin early next year and continue for about a year before commercial operations begin. Citizens in Space will fly soon after that. “We’re expecting that our first flights will be in early 2014,” Adams. Adams has already proven she has the right stuff in a training program that includes high-g and zero-g aircraft flights, unpowered landings, and flight simulators. She was chosen as a citizen astronaut candidate in July 2009. At that time, the program was known as Teachers in Space. In 2011, Teachers in Space became Citizens in Space. “We’ve broadened our focus to be more inclusive,” Adams said. “Our program will include informal educators, university students, and hobbyists, as well as teachers. “We also have a new emphasis on citizen science. One of the complaints about Teachers in Space was that people didn’t know what the teachers would be doing during their flights. Other experiments may involve fluid physics, materials science, remote sensing, and astronomy. By now, many people have seen the news story concerning former Pathfinder astronaut candidate Chantelle Rose. We won’t comment on the arrest or pending criminal charge, of which we have no personal knowledge. Given this publicity, however, we want to clarify the status of Chantelle Rose and Teachers in Space. Chantelle Rose was one of several astronaut candidates dropped from our Pathfinder program last year. This attrition is normal and expected in a pioneering program like ours. We have not had any contact with Chantelle Rose during the past 11 months. In the intervening period, we have expanded our program to include informal educators, university students, hobbyists, and other citizen scientists, as well as teachers. Teachers in Space is now part of a larger program called Citizens in Space. There has been some confusion due to statements made by the Space Frontier Foundation, an organization which we worked with in the past. The SFF has created its own education program and has attempted to blur the line between their program and ours by co-opting the name Teachers in Space – a name we have used since 2005, predating our association with the SFF. Statements by the Space Frontier Foundation that Chantelle Rose is a current Pathfinder astronaut candidate are not accurate. Citizens in Space remains entirely under the control of the United States Rocket Academy. We have not transferred the ten Pathfinder spaceflights, or any other part of our program, to the Space Frontier Foundation, nor do we intend to do so, nor do we plan to work with the Space Frontier Foundation in the future. Statements to the contrary are not accurate. The Space Frontier Foundation played no role in purchasing the suborbital spaceflights. The failure of the SFF to raise money for flights is one of the reasons for our disassociation. The SFF was supposed to be working to raise funds to purchase additional flights but never did so. We were told that one of their board members would devote herself entirely to that task. Instead, she devoted all of her time to other SFF projects. Two years later, she had not scheduled a single fundraising event or raised a single dollar for Teachers in Space. As stated on our website, we have three Pathfinder astronaut candidates at this time: Maureen Adams, Lt. Col. Steve Heck (USAF-ret. ), and a third candidate whose identity is being kept confidential for privacy reasons. As additional candidates are selected, they will be announced on this website. The Space Frontier Foundation will not be part of the selection process. Maureen Adams and Steve Heck have agreed to continue working with the SFF on NASA-funded educational workshops for the remainder of the summer, in order to honor their commitments to NASA. They have informed the SFF of their resignation, effective with the end of the summer workshops, and requested that their names and photographs be removed from SFF websites and promotional materials. Some of the former Pathfinder astronaut candidates, including Chantelle Rose, continue to work with the Space Frontier Foundation. The Space Frontier Foundation has misrepresented the status of those individuals. We regret the confusion this has caused. Please continue to visit www.citizensinspace.org for accurate information about our program. Good news. We’ve cleared an important hurdle, which was placed in our path by the US government. Ever since we announced our citizen science-challenges this spring, we’ve been telling prospective applicants to consult the XCOR Lynx Payload User’s Guide for technical details. Unfortunately, the Payload User’s Guide hasn’t been unavailable until now. When we made our initial announcement, we expected the Payload User’s Guide to be available in a matter of days, but its release was held up by ITAR (Intenational Traffic in Arms Regulations) – the bureaucratic nightmare that is the bane of the space industry. Today, XCOR announced that the Payload User’s Guide is available. Electronic copies can be requested through the XCOR website. Let the payload-development games begin. Astronaut training requires a diverse range of training techniques – classroom work, simulation, and practical exercises. Flight simulation allows an astronaut candidate to previsualize an entire mission. With motion-based simulators, he can even experience some of the movement. Thanks to Moore’s Law, flight simulators are becoming better and cheaper all the time. Simulators have certain limitations, however, which will never be overcome by advances in technology. A crew member in a simulator, however sophisticated, knows he is in a simulator. Simulation cannot reproduce the human factors – the excitement, stress, and risk – of actual spaceflight. The United States Rocket Academy uses aircraft to reproduce some of those factors which are absent in the simulator. 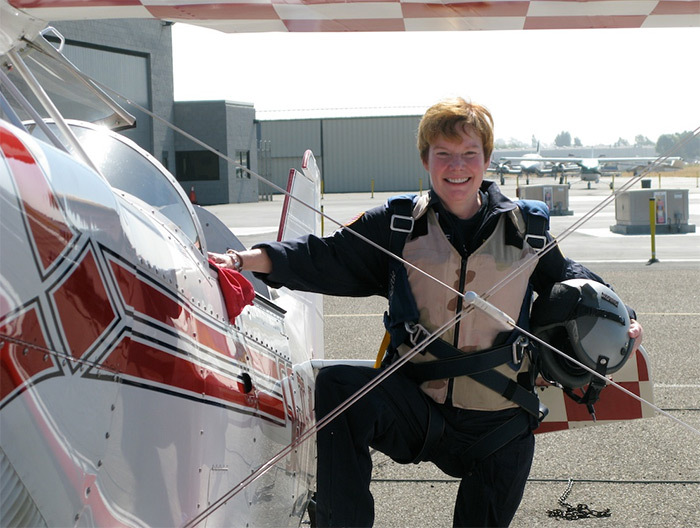 This video shows a typical training flight using aerobatic airplanes, with citizen-astronaut candidates Maureen Adams and Lt. Col. Steve Heck (USAF-ret.). This weekend, Citizens in Space participated at Maker Faire in Kansas City. In just two days, we met and interacted with more new people than most space activist groups attract with an entire year of conferences and expensive parties. Also participating in the event will be speakers from James Cameron’s DeepSea Challenge project, SETI@home, ClickWorkers, Jellywatch, and Mavericks Rocketry. The roundtable takes place at TechShop in Menlo Park from 6:00 pm til 9:00. Early-bird registration is $20. More details on the event are available here. Tickets and registration are available here. Citizens in Space is going on the road this summer. We’ll be attending a number of events around the country to spread the word about the exciting opportunities for citizen science and space exploration enabled by reusable suborbital spacecraft. Following today’s event in Seattle, we’ll be appearing at Maker Faire Kansas City on June 23-24 and Maker Faire Detroit on July 30-31. We will be announcing additional events in the near future. Citizens in Space will be appearing at the Mini Maker Faire in Seattle on Saturday, June 2. The Mini Maker Faire takes place at Seattle Center, the old World’s Fair site, on the 50th anniversary of the Seattle World’s Fair. Our presentation is scheduled for 11:10 am. We hope to see you there. The Extremo Files at Wired magazine explains how the Irish potato famine relates to suborbital science. (San Mateo, California) – A NASA-inspired competition is challenging citizen scientists to build hardware for collecting microorganisms at the edge of space. Citizen scientists can win cash prizes up to $10,000 in the High Altitude Astrobiology Challenge, announced Saturday by Citizens in Space, a project of the United States Rocket Academy. If successful, their work may help stop a future epidemic. Citizens in Space project manager Edward Wright announced the challenge at Maker Faire, the nation’s largest festival of do-it-yourself science and engineering, which attracts more than 100,000 people in the Bay Area. “A NASA astrobiologist approached us with this idea,” Wright said. “Researchers have learned that the Earth’s biosphere extends to much higher altitudes than previously suspected – up to 100,000 feet or more. The upper atmosphere could serve as a global transport system for disease organisms. It could also be a breeding ground for new diseases due to increased mutation rates from high levels of background radiation. Citizens in Space has acquired an initial contract for ten suborbital spaceflights with XCOR Aerospace, the Mojave, California-based company that is developing the Lynx spacecraft. The winning hardware from the High Altitude Astrobiology Challenge will fly on all ten flights, along with other citizen-science experiments. “Citizen scientists are doing amazing things,” said Lt. Col. Steve Heck (USAF-ret. ), a science teacher from Milford, Ohio who is one of three citizen astronaut candidates selected to fly as payload operators. “They’re discovering exoplanets and dinosaurs, monitoring climate and endangered species, and helping to map the human genome. The development of reusable suborbital spacecraft will be the next great enabler, allowing citizens to participate in space exploration and space science. The High Altitude Astrobiology Challenge offers money, fame, and the chance to save the planet from killer microbes from the edge of space — but there’s one more incentive for citizen scientists to enter the competition. Currently, there are two major markets for commercial suborbital spaceflight. The first is personal space exploration, also known as “space tourism.” The second is professional scientific research. Based on the initial customer response to date, both appear to be viable markets capable of supporting a growing industry. Nevertheless, it would be useful for the industry to have a third leg to stand on. We believe that citizen science could be that third leg. Citizens in Space will make a special announcement at Maker Faire. If you’re in the Bay Area on May 19 and 20, you won’t want to miss our presentation. Maker Faire, created and produced by Make Magazine, is the nation’s largest festival of do-it-yourself science, engineering, art, and crafts. This is citizen science central – the greatest show and tell on Earth! We’re proud to take the stage at Maker Faire this year to announce the start of an exciting new project. We will be speaking on the Education Stage starting at 1:00 on Saturday, May 19. We will also have a booth, so you can stop by and talk to us any time that weekend. Maker Faire takes place at the San Mateo Event Center, aka fairgrounds (see map below). For details on Maker Faire, or to buy tickets, click here. Tickets are available here. San Francisco, CA (Mar. 28, 2012) — Citizen scientists and hardware hackers are being challenged to develop payloads for commercial reusable suborbital spacecraft during the International Space Apps Challenge, a NASA-sponsored event that takes place worldwide and aboard the International Space Station on April 21-22. The International Space Apps Challenge is a two-day “codeathon” which invites developers, hobbyists, and hackers around the world to work on a variety of hardware and software challenges. Citizens in Space, a project of the United States Rocket Academy, is challenging participants to develop suborbital science payloads as part of the event. Successful payloads may fly into space aboard one of the commercial reusable spacecraft that are now under development by companies such as XCOR Aerospace. XCOR Aerospace is building the Lynx, a two-seat rocketship that is expected to make its first flight before the end of this year. Space Center Houston (Feb. 2, 2012) — The United States Rocket Academy made a special announcement at the Space Exploration Educators Conference, which began here today. You are currently browsing the archives for the Citizens in Space category.